A look at how to transfer Pokémon using the GO Park feature in Pokémon: Let's Go. If you dedicated a lot of time to expanding your PokéDex in Pokémon GO, you may be wondering how to transfer those Pokémon over to Pokémon: Let’s Go, Eevee and Pikachu! To transfer Pokémon, you’ll need to familiarize yourself with the GO Park feature. In Pokémon: Let’s Go, there are a total of 20 GO Parks. Each GO Park has the ability to hold a total of 50 Pokémon, meaning you can transfer up to 1,000 Pokémon into the game. Of course, there are a few restrictions (noted below) on what can and cannot be transferred. You can find the GO Park Complex where the Safari Zone used to be in the original Pokémon titles for Game Boy. For those who haven’t played the game, the Safari Zone was located in the northern area of Fuchsia City. Now that you know where to find the GO Park, let’s take a closer look at how to transfer Pokémon from Pokémon GO to Pokémon: Let’s Go, Eevee and Pikachu! You can transfer Pokémon from GO to Let's GO using the GO Park feature. Touch the Poké Ball icon, then select Settings. In Settings, select the “Nintendo Switch” option. Meanwhile, you can connect the two in Pokémon: Let’s Go using similar steps. In Pokémon: Let’s Go, tap X to open the Pause Menu. Next, tap Y to open the Settings Menu. In Settings, select the Pokémon GO option. Confirm “Yes” to pair with Pokémon GO. Verify your account information, then select “Yes” to confirm. Before you can transfer Pokémon, you'll need to connect your Pokémon GO and Pokémon: Let's Go accounts. Touch the Poké Ball Icon, then select Pokémon. Select the Nintendo Switch icon located in the upper right corner of your screen. Choose which Pokémon you wish to transfer by touching the Pokémon and holding down to select. Select “OK” to confirm and you’ll receive a notification that the Pokémon has been sent. Similar to sending Pokémon to Professor Willow, you’ll receive 1 Candy per Pokémon sent to the GO Park as they will no longer be present in your Pokémon GO inventory. 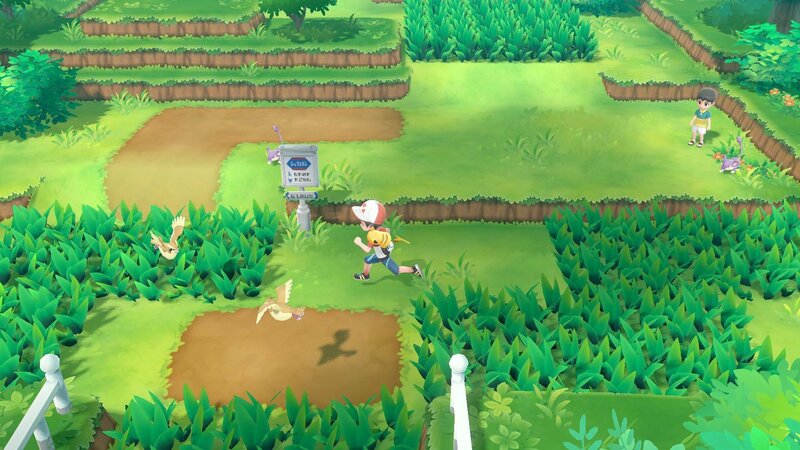 Keep in mind that once you send a Pokémon over to Let’s Go, you won’t be able to send it back to Pokémon GO. Additionally, after sending Pokémon in Pokémon GO, you’ll need to receive them in Pokémon: Let’s Go to finalize the process. Speak to the receptionist and select “Bring Pokémon” to begin the receiving process. Select the area where you wish to send the Pokémon sent from Pokémon GO. Select “Pick Up” then confirm “Yes” to receive the Pokémon. 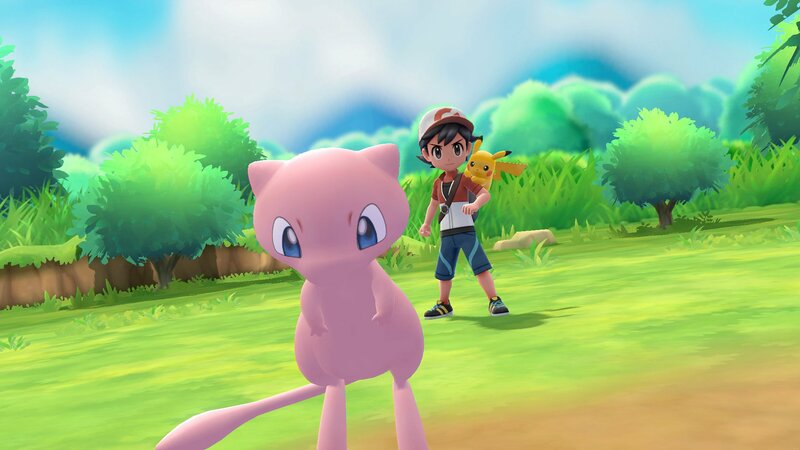 You cannot transfer special event Pokémon or Mythic Pokémon like Mew from Pokémon GO to Pokémon: Let's Go. After that, you’ll get a notification that the Pokémon were successfully received. 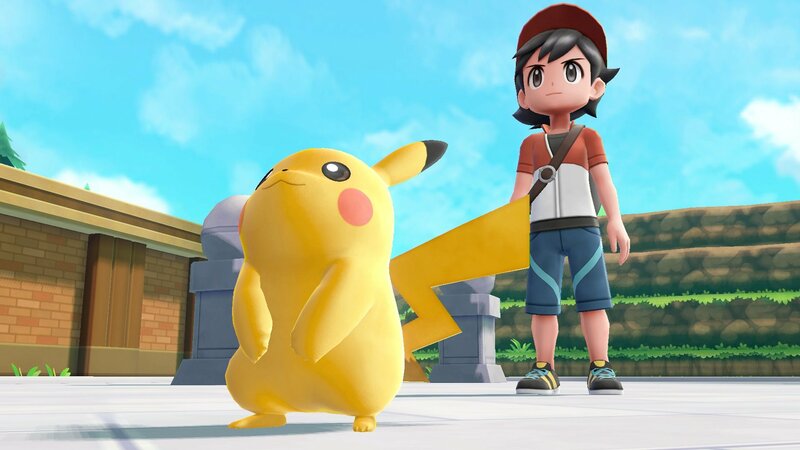 Not all Pokémon in Pokémon GO can be transferred over to Pokémon: Let’s Go. For example, event Pokémon and Mythical Pokémon can’t be sent, though special Pokémon like Meltan and Melmetal can be sent. Below, you’ll find a sample list of Pokémon that cannot be transferred from Pokémon GO to Pokémon: Let’s Go. Event Pokémon including Pikachu and Raichu with special costume variants like Halloween, Birthday, and Christmas Hat Pikachu. Event Pokémon including Squirtle, Wartortle, and Blastoise with the Sunglasses costume. Mew (though you can get a Mew by purchasing the special Poké Ball Plus peripheral). Be sure to check back, as we’ll be updating this guide with a complete list of Pokémon that can and cannot be transferred from Pokémon GO to Pokémon: Let’s Go. In the meantime, which Pokémon do you plan on transferring over to Let’s Go? Have you been catching duplicates of Pokémon for this purpose? Let us know down in the comments below! For more on Pokémon: Let’s Go, be sure to check out our previous guide on what the Poké Ball Plus is and how to buy one! By reading through this guide, you should now know how to transfer Pokémon from Pokémon GO to Pokémon: Let’s Go, Eevee and Pikachu!